A relatively short post.. hopefully some car manufacturers are reading..
IoT security and car / vehicle security are hot topics at the moment. From the Jeep hack to Tesla, there have already been examples where cars can be ‘hacked’. These have demonstrated that control can be taken, not just of relatively benign functions like climate or the stereo, but of actual ‘car’ controls like steering and brakes. In addition to this, if you use, or read reviews of most cars entertainment / infotainment systems, they are pretty poor in terms or UI and capabilities. Hands up if the maps on your phone beat your cars GPS / navigation system. This seems to be a clear symptom of manufactures wanting to have their cake and eat it. What I mean is minimal changes to the architecture, implementation and security of the software and hardware (computer) that runs the car while simultaneously wanting to connect it to the internet for clever features and updates. In the world of mobile phones, and indeed traditional computing there is a concept of trusted or secure execution environments. These vary in implementation, but the premise is a hardware protected trusted environment for executing sensitive activities while less sensitive activities run on the normal operating system and less secure / more open environment. I propose we monitor the software at all times it is in use to ensure the payment is legitimate and secure. I am not sure any car manufacturer wants to monitor the software in all its cars, all the time, in real time. People are unlikely to die. This is not being overly dramatic; a failed payment or fraudulent payment likely involves a call to your bank and minor inconvenience. If the ‘driving’ parts of your car can be hacked there is a very real risk of serious injury or the loss of life. How do we solve this, and still provide convenience? I propose that the car computer effectively be split into two discrete components. The first being secure and dealing with anything to do with controlling the car such as the engine, brakes, steering etc. This should be in secure environment that ideally can only be updated at a garage using a physical connection and certificates etc. This could potentially be remotely updated, but that should be weighed against the risks. The second being the ‘fun’ part. This would include the whole infotainment system, music, climate, navigation* etc. These components can then be updated remotely, ideally still with reasonable security such as encrypted communication and certificates etc. This split would allow manufacturers to update the UI, navigation etc much more frequently with relatively low risk. I’m hoping that car manufacturers will move in this or a similarly secure direction soon. If they do not, I fear something bad will happen. This will not only be bad for those involved, but will lead to strong regulation and prove (again) that companies must be regulated to do the right thing. It’s time to stop hiding behind supply chain or what ever the excuse is and to protect your customers and the general public. Either that or stop making connected cars! Concepts similar to this likely apply to a wide range of IoT ‘things’. *You could make an argument for not having navigation here, as it is possible to direct people the wrong way which could be dangerous, but I’d suggest less imminently dangerous, and I’m definitely not proposing no security for the ‘infotainment’ stuff! Author Kevin FielderPosted on March 6, 2017 Categories SecurityTags cars, Internet of things, IoT, TEE, trusted executionLeave a comment on Securing Connected Cars.. In this third part on the Insider threat / Insider risk / People risk series we move onto how we can manage this and prevent the risk from being realised. Despite my concerns around the ‘insider threat’ terminology, I have kept it for the title as this is currently the most common term. As I started writing this series my initial thoughts were that some of the ‘people / process’ areas would be the most important. However as I have researched this area I’ve come to realise that some of the ‘people’ things may lack in value. Some people areas like JML and IDAM (acronyms will be covered later) are indeed key, but only in conjunction with equally key technology capabilities. While all related, for ease of reference I’ll split the ways we can work to prevent / mitigate the insider threat into ‘People Stuff’, ‘Process Stuff’, and ‘Tech Stuff’ . While there will be some overlap, these categories I think cover the main areas. This aligns with the standard security ethos of covering People, Process, Technology in order to secure an organisation. The below is hardly an exhaustive list, but will hopefully get you thinking about the areas you need to focus on to secure your organisations systems and data. Develop a ‘secure culture’ with strong security awareness. In line with wider security training, ensure everyone knows security is their responsibility. This training should include helping people to know the signs to look for that may contribute to the risk someone could be an insider threat. How to report these, and an awareness that it’s just as likely someone needs support and assistance rather than being malicious are important points to remember here. Promote an open culture throughout the organisation. It is OK to discuss concerns about yourself or others. The organisation will always look to take positive, not negative steps to resolve potential issues. It is expected to challenge someone if they don’t have a valid pass on display, no matter who they are.. Even the CEO.. The most important process area in order to mitigate the insider threat is JML (Joiners, Movers, Leavers) and ensuring all users have only the correct permissions to perform their current role. Organisations often have reasonable ‘joiners’ and ‘leavers’ parts of the process, but many struggle with ‘movers’. This is often highlighted when you look at the permissions of staff who have been with the organisation for sometime and through several roles. It is not uncommon to find they have an accumulation of the permissions of all the roles they have performed, rather than just those required for their current position. As a recommendation, RBAC (Role Based Access Control) where each identified role in the organisation has an approved permissions template is a better method than trying to copy a others users permissions in the hope they are correct. There may be an argument for having periodic background checks on key staff in addition to the checks performed at the start of employment. This is another area where many companies perform reasonable due diligence on employees prior to the start of employment, but then the checks are never performed again. Personally I am not 100% convinced on this one as most checks are in reality not that in depth, and would only flag a concern at best – do we actually know how many insider threats are realised by someone who has more debt than before for example? By all means do these, but ensure it is realised they are at best an indicator that risk may be increased, and will likely miss many people more likely to realise the risk. Ensure key processes, especially those with material impact like moving money around are 4 or even 6 eyes processes. This means that no one person can authorise certain transactions or processes, someone would initiate it and at least one other person would review and confirm. These different people should not be in the same team to reduce chances of collusion. Implement job rotation where it makes sense / is feasible as this reduces the chance of someone planning and committing fraudulent activity over a long period. Some organisations also implement enforced periods of holiday, e.g. at least one 2 week block must be taken each year where there is no contact with business systems. While not infallible this does ensure a period where someone else performs the role making it more likely discrepancies would be spotted. A first area to think about here would be how you can implement technology to support the above mentioned process improvements. Examples would be Identity and Access management solutions to support the creation and use of business roles, and a solution to interrogate systems and report on existing permissions and group membership etc. The next thing to realise is that ‘standard’ monitoring and controls likely do not cut it when you are trying to protect your systems and data from users and accounts that are legitimately permitted access. It may be possible to pick up on some simple behaviours like an account attempting to access a lot of directories it is not permitted to, or port scans, or data exfiltration so large it impacts services. However these would not be the most likely behaviours unless the insider / compromised account really was not trying to hide their tracks at all, in fact they would almost be trying to get spotted with actions like these! In order to detect more subtle malicious behaviour, Some form of UBA – User Behaviour Analytics capability must be employed. It should be noted that is is a relatively new area in the security space that is currently fairly high in the ‘hype cycle’. As such considerable due diligence is recommended in terms of both clearly defining your requirements, and understanding the detailed capabilities of the solutions you assess. Many companies are badging existing and new solutions as having UBA capabilities in order to capitalise on the current hype in this space. To understand if an account is behaving in a potentially malicious manner, it is critical to not only understand it’s actions in detail, but also to have some understanding of what is normal. The best way to do this is to ensure there is an understanding of roles and teams within the organisation so that the solution can compare behaviours across groups that you would expect to perform similar actions. Another key point here is that a lot of behaviour that could be malicious from viewing extra records to changing data may all happen within an application, so consider solutions that are able to integrate with your applications, or at least have a detailed understanding of your applications logging. Other more ‘standard’ capabilities such as DLP, web proxies and email gateways can also play a role in both reducing the risk of insider threat, and also detecting it by ensuring their log files that detail user and system behaviour, web sites visited and emails sent are incorporated into the broad behaviour analysis capability. On a final tech point consider some sort of secure browsing capability. If you can prevent any malware from the web from even getting to your end points, and simultaneously prevent uploads to the web you will have dramatically reduced the risk from malicious users, phishing and account compromise. I hope the above is useful guidance and thought provoking. It would be great to hear your ideas and things you think are critical in minimising the risk from insiders and compromised accounts. Managing the risk from insiders, commonly referred to as the insider threat is in many ways more challenging than dealing with the more frequently discussed threat from external hackers. This is because we are dealing with users / user contexts that already have authorised access to systems and data. For clarity when I talk about the ‘insider threat’ I am not just referring to malicious insiders. This also covers coerced / blackmailed insiders, and compromised accounts e.g. 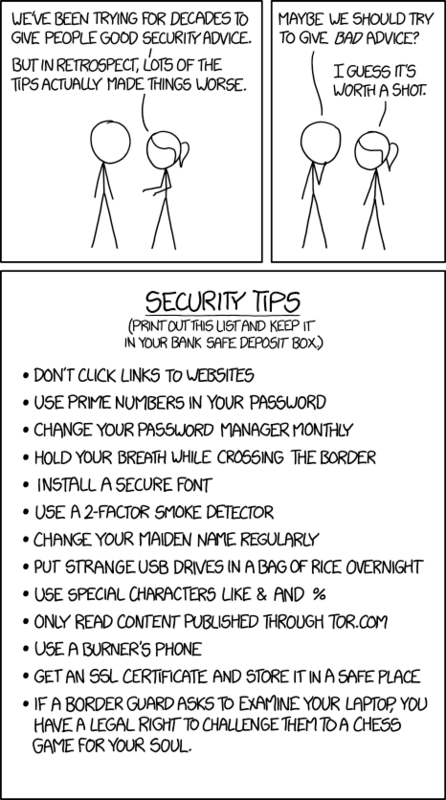 via social engineering where an attacker is able to act as a legitimate user on the network. Technically a compromised insider account is not necessarily an ‘insider threat’. However as the appearance will be the same, and the majority of the tools and processes to detect and prevent it will be the same, it makes sense to cover this in the same work. Indeed without the correct capabilities in place, a compromised user account could well cast suspicion on a completely innocent colleague. The above is the reason for the slightly long winded title of this post. I’m not a fan of the term insider threat as it is pretty emotive and can lead to a sense of distrust. We need a better name that conveys the fact we want to protect our colleagues as much as protecting our data. When discussing this I often refer to ‘user context’ as in the predominantly logical world many of us live in it will be the users account that is misused in order to steal or change data. Whether the account is being used by a malicious insider, or whether it has been compromised in some way, it is the misuse of the logical account that will lead to the data loss or corruption. Could they affect data integrity? What makes this such an interesting as well as challenging area of security is that it you really have to bring together all aspects of security in order to manage the risk. This includes physical, logical, HR policy and even broader topics such as corporate culture. Just how do we deal with this complex issue? One thing is for certain, despite my love for technology and innovation, this is not something that can be solved just with technical solutions! You should not even start with these, without first covering considerable non technical work. As with all security programmes, once you have defined the programme at a high level, understanding the assets and their value will define the types of controls and how much effort / budget should be expended on protecting them. Identifying your assets – likely systems and data / information, will not only ensure you understand the value, but help ensure you are protecting the right things! It is then important to understand both what you and do not want to do, along with what you are allowed to do. Both and corporate culture and the legal environments you operate in will impact how intrusive any Insider threat programme can and should be. Remember, if you are a global company this may mean you have to have some different policies in different regions, for example Germany is much much stronger on individual rights and privacy than the US for instance. Build a Team, Identify a Champion. Identify Threats, War Game and Establish Goals. Education and Deterrence Programs and Policies. To US CERT and the Software Engineering Institute who have 18 and 19 step processes respectively! I’d recommend reviewing various documents on this topic and tailoring the list to that which is most appropriate to your organisation. In addition to the different ways we can mitigate the risk it can be useful to apply the ‘kill chain’ approach. Much like the well understood cyber kill chain, there are similar ‘insider threat kill chains’. By using these it is possible to demonstrate how the different steps can be applied to prevent the risk and different stages of the planning and implementation. ‘we want to monitor you in case you steal data’! https://www.cert.org/insider-threat/best-practices/ – the CERT insider threat site has a lot of excellent content!